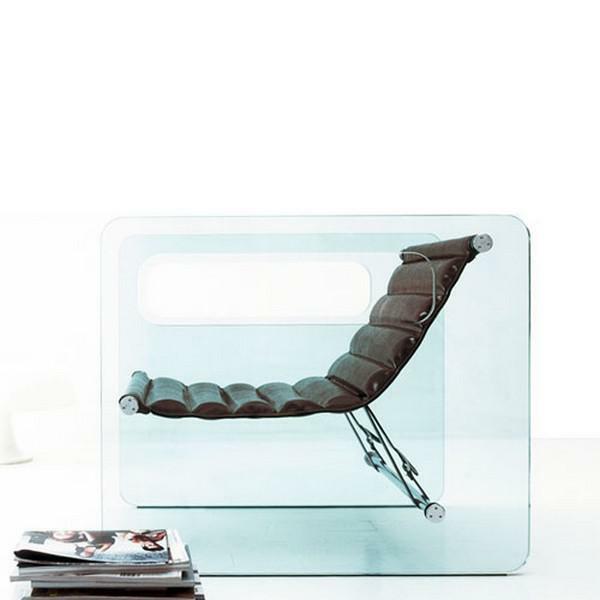 An amazing glass armchair by Tonelli. 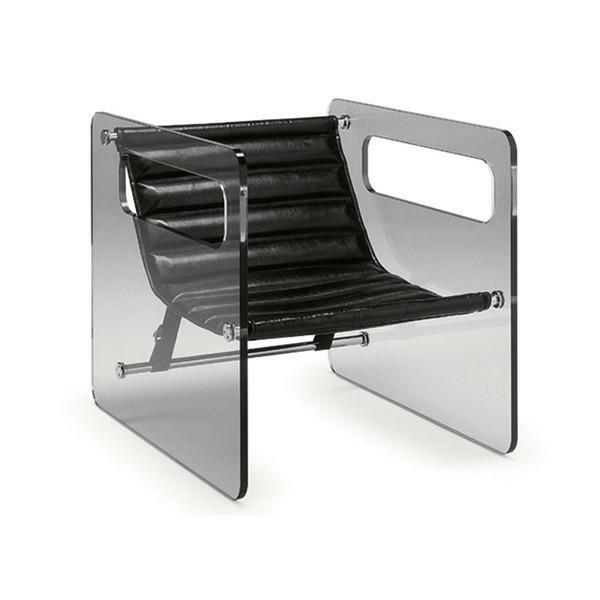 Naked is available in white or black leather adjustable seat. 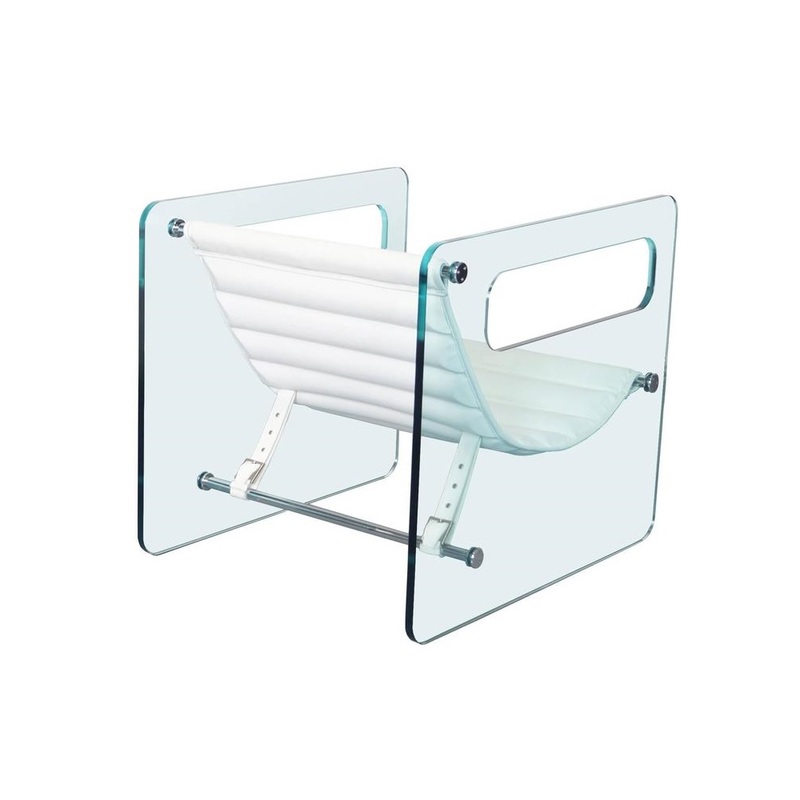 The openings in the glass sides form comfortable armrests. 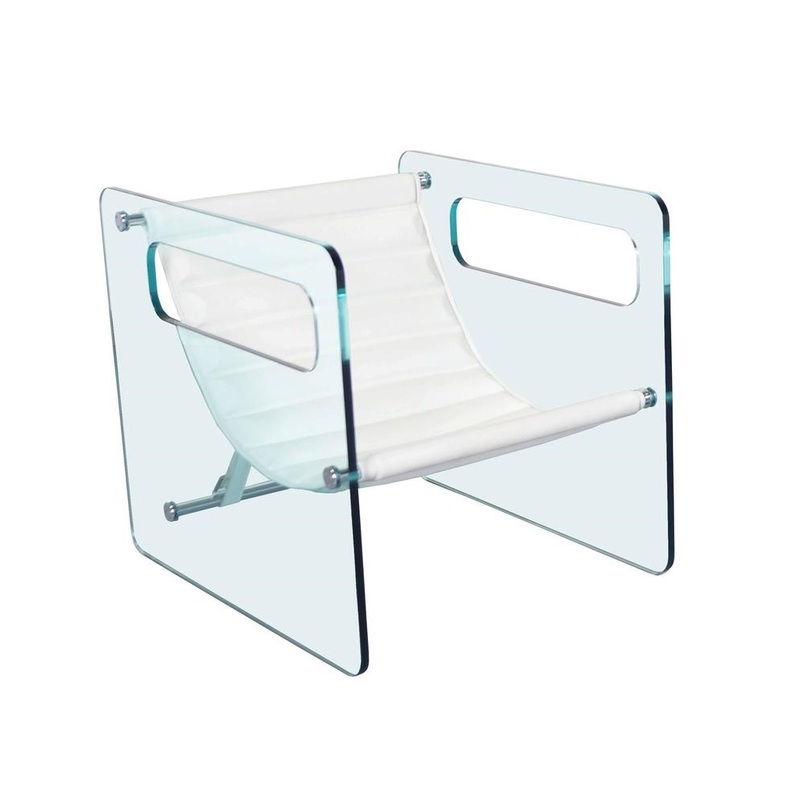 *The naked glass chair is also available in Extraclear Toughened Glass, with black or white leather seat.